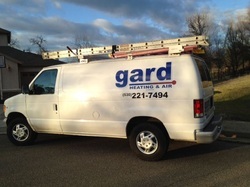 At Gard Heating & Air, we know all types of climate-control systems inside and out. Our fast, courteous service and unparalleled expertise have made us the favorite heating and cooling company across the greater Redding metro area. We offer comprehensive heating and cooling systems at competitive rates, and work hard to ensure complete satisfaction on every job. best choice for repair or replacement of equipment. Our services are provided by experienced and licensed professionals.